Thinking about joining us? Great, we’d love to have you join us! First and foremost please feel free to “try before you buy”. Please come to a meeting/social gathering or an event and try us out. Ready to join right now? Then fill out an application please click here for a Microsoft Word format of the application form or click here for the PDF version. Newsletter – We publish the “St. 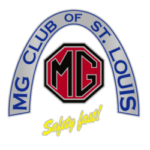 Louis Metro Gazette” on a monthly basis and this electronic newsletter provides technical articles, event updates, the details of the monthly club meetings and lots of photos! Please use the Newsletters link in the main menu bar above to see the prior issues. Monthly meetings – held monthly this brings members together and we hear about member projects, collectively resolve problems, plan events and hear about events that have taken place. This provides a great forum to exchange ideas and seek information on your projects or general questions about your car and its operation. We also have attendance prizes at every meeting. Feel free to bring your spouse or a family member to the meetings. Tech Sessions – are held in January, February, March and April at various locations and are hosted by some of our professional support members. These cover almost any mechanical, bodywork or engine related topics and topics are chosen/requested at the monthly meetings prior to each session. Events – every month we have something planned, there’s always something happening so please join us and join in the fun! Click here to see our club brochure which gives a “calendar of events” and more details or go straight to our events calendar. New Member Kit – to help you get quickly involved and oriented within the club we provide you with a detailed explanation of the club and its events so you know what to expect. We hope this helps new members feel like veteran members and ensures that you get maximum fun from your membership as quickly as possible. For basic individual membership the annual fee is just US$20 per year, what a deal! We also offer family membership for US$30. This allows a spouse or other family member to have full voting rights at our meetings. While we encourage spouses, significant others or family members to attend meetings and events to manage voting rights at meetings the family membership option is something to consider. We’d love to have you as a member! The next step is to complete an application form and send it in with your payment. You may make an online payment via credit or debit card, using the membership items above or on the Buy Stuff page. Or simply bring it along to the next meeting so you can meet everyone. Here’s the membership form in Microsoft Word format or in a PDF version if you want to mail the form in with a check.